High quality acrylic fabrics in a wide selection of colours. This material is breathable which lets moisture out and prevents mildew. 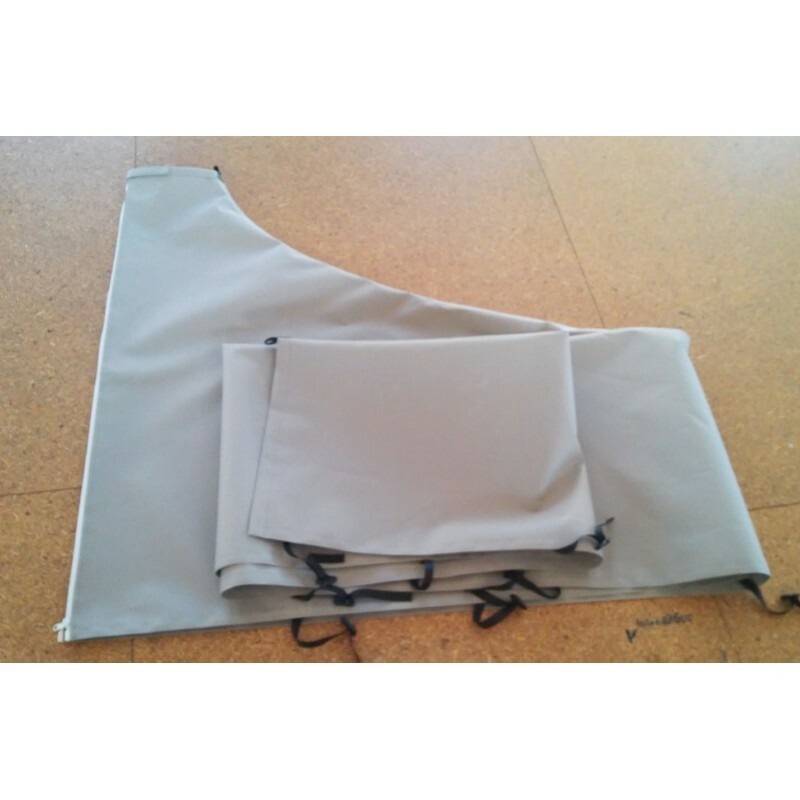 Mainsail-covers are built to last and protect your sail from dirt and harmful UV rays. The covers are individually cut and sewn with triple-layered seams and double stitching. The sail cover wraps around the mast collar and headboard. Buckle fastners on the bottom of the cover adjusts for a perfect fit. The wear areas are reinforced. 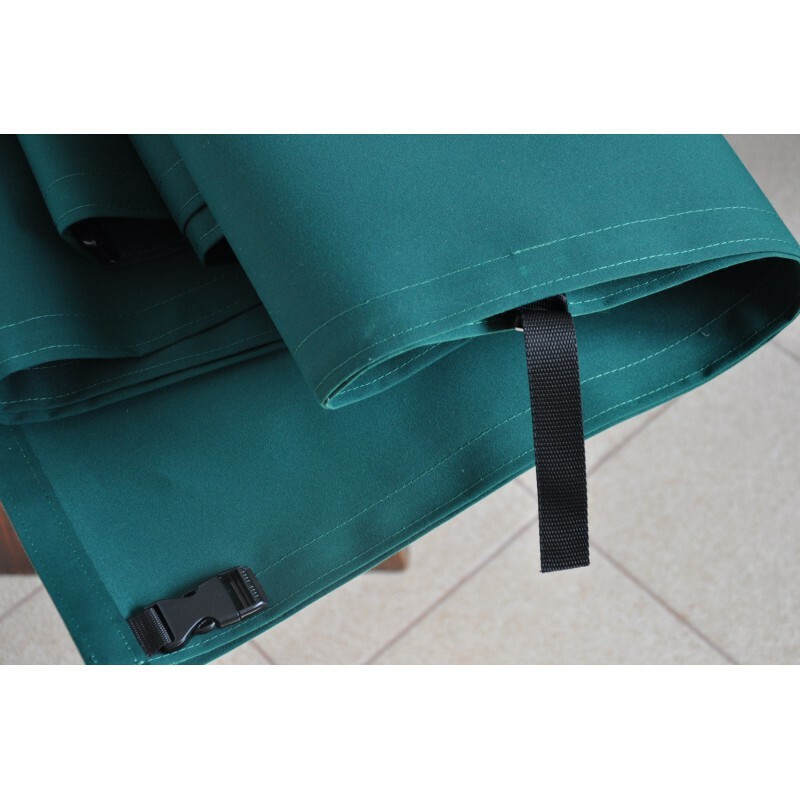 Our sail covers are made with high quality acrylic fabrics and comes in a wide selection of colours. 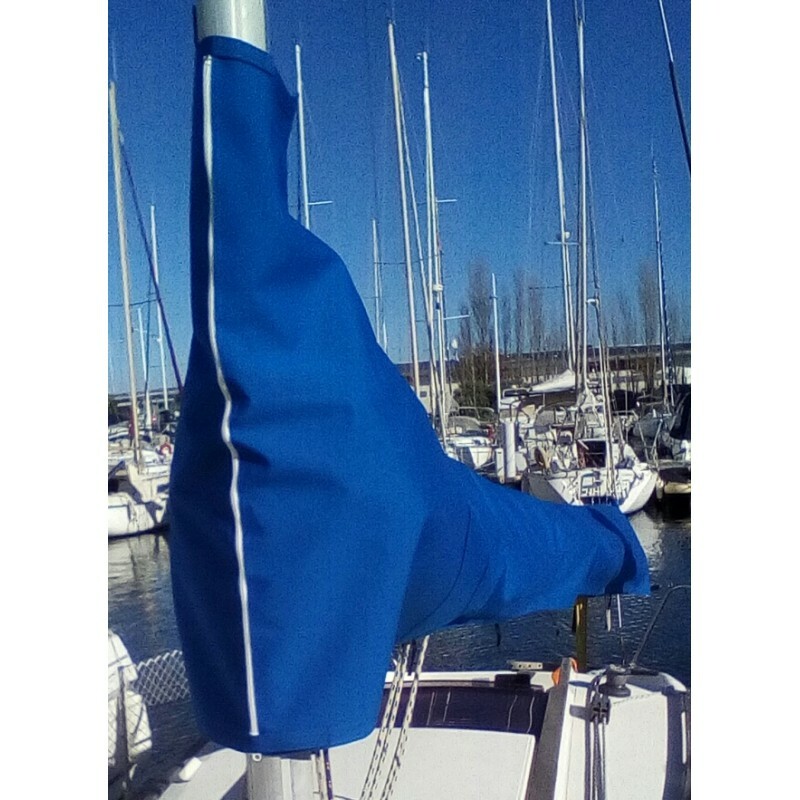 Mainsail-covers are built to last and protect your sail from dirt and harmful UV rays. The wear areas are reinforced. The average lead time is two weeks. It starts with the receipt of the complete order (order, measurement and deposit payment). The shipping price is €29, - per sail cover. We offer two years guarantee as standard for all our accessories against manufacture defects, fabric and thread.